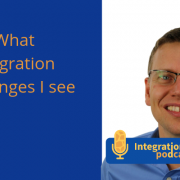 I had the pleasure of having Luke Marson as a guest in the Integration Podcast who is a solution architect at Ixerv. He is an experienced solution architect and widely-recognized expert in SuccessFactors and SAP ERP HCM. He Provides end-to-end HR and HR technology strategy, advisory, assessments, roadmaps, transformation, optimization, and implementation services for large, global enterprise customers. 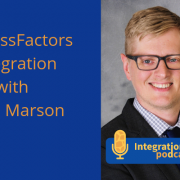 Luke Marson has been around the SAP space for a decade, more than half of that is within the SAP SuccessFactors space. He has been solution architect, integration architect, a lead consultant, a project director and also different roles over the years, working with customers on SAP SuccessFactors transformations. 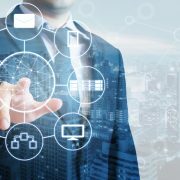 There are a few different options, you can look at it from a perspective of middleware technology, from API´s and then from functionality within SuccessFactors itself. 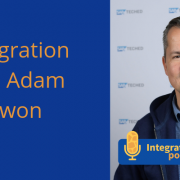 So, from a middleware perspective when you subscribe to employ central, as part of the subscription customers will get a subscription for SAP Cloud platform integration, and that essentially provides you with an unlimited amount of integration connections as long as one end of the integration, either the inbound or outbound, is touching the employee central system. Now it is a proven, powerful integration platform, previously SAP had up in the atmosphere into the employee central subscription. That´s still available for customers on request, most costumes are getting the news in the SAP cloud platform integration as their middleware employee central. 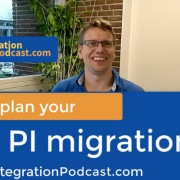 There are two core foundational API´s, there is the SuccessFactor API, that’s the original SOAP-based API and now the OData V2 and V4 that are taking over. There is also the Integration Center that allows business users to perform integration and developing reports them self. There is some collaboration between the two sides. After doing a SuccessFactors project I do understand some of the complexity of the suite and what needs to be integrated. We cover some of the pre-packaged content where a lot of the modifications is because of customization on the backend SAP systems. Here some of your customizations will cause the integration to be more difficult.